I’ve found it challenging to get back into work mode after the winter break. It’s dark when I leave the house and dark when I get home. Observing the progress my clients are making. 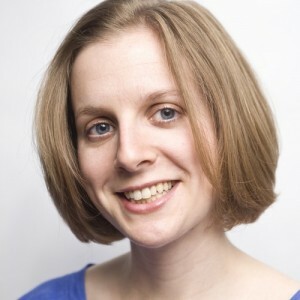 I’ve reminded myself to slow down and notice the changes in each client. One is now able to produce s clusters, another can make a choice between two options, and a third has started asking questions. Their exciting progress keeps me motivated. Doing a little CPD at a time that suits me, sitting at my own desk. I watched this Hanen eSeminar: Choosing Initial Vocabulary Targets for Children Who Are Late Talkers, which deserves a blog post of it’s own. It made me think about which of my children Hanen would classify as Late Talkers and gave practical ideas about the types of words to choose for targets. Reading beautiful books which aren’t about speech therapy. 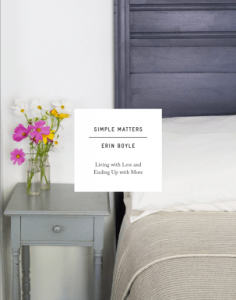 I received Erin Boyle’s book Simple Matters in the post this week. The gorgeous photography and inspiring ideas were just what I needed to get out of my winter funk. And I’m sure there are principles I can apply to therapy, for example I’ll definitely think twice about buying more plastic toys, or resources. I also had another look through Joel Henriques’ book Made to Play. Another book with gorgeous photographs and the craft projects range for simple to pretty complicated. I’m going to pick a couple and have a go. What do you do to stay motivated through winter? This entry was posted in Homemade Therapy Resources, Reflective practice, Thoughts about Therapy, Uncategorized and tagged Hanen eSeminar, Made to Play, motivation, progress, Simple Matters, winter on January 17, 2016 by Rhiannan Walton.